What Causes Headache? Help is here at Headache Adviser. Wondering what causes headache? If you have migraines or chronic daily headache you have come to the right place. In pain right now? Read on.. If you tired of trying to figure out what causes headache,...RELAX..I am here to help you. Not only have I suffered for years from migraines, but I am also a healthcare professional, who practices headache medicine. I practice in neurology and see hundreds of headache patients per month. I have lectured nationally on the subject of headache. At that time, there was no information or treatment for teens with migraine. Basically I was told.."Well it is JUST a headache." I am sure many of you have heard this before when trying to describe your migraine headache symptoms. As a result, like many others, I did not receive adequate treatment for years...30 of them as a matter of fact. But now that has changed, I practice as a specialist in this area, and believe that chronic daily headaches can be managed. Yes..they can, I have done it. See? You are not the only one with horrible pain. Most victims are women and many of us suffer in silence. While there is no quick cure, there IS management for what causes headaches. This site was developed with fellow migrainers and headache sufferers in mind. Management of symptoms is here, in addition to resources to help you find a headache specialist. Although the most common headache is tension headache, the majority of these are mild and do not cause a person to seek advice from a medical professional. The most common headache that is severe enough to require treatment is migraine. Most of you who are searching for information on "what causes headache" through the internet are migraineurs. Here, I cover not only what causes headache, but a spectrum of other headaches and treatments. Through lifestyle changes, alternative therapies and medications, this condition can be effectively managed and allow you to have a normal life. No more missing work, family outings and just normal daily living routine. You can stop spending your time on the couch or worrying about when the next headache will strike. 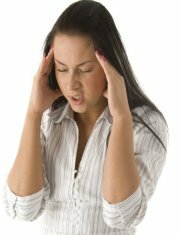 You will also learn how to manage your stress which is the most common source of "what causes headache". Yes, it is the job, stressors at home and things that keep you awake at night! Hopefully, you will also find information that will allow you to speak to family, friends, and co-workers about your condition. Medical science is now coming to the realization that this type of pain may be called a disease state. Indeed, migraines are now referred to as "attacks". I work in one of the largest headache centers in the United States. We are doing headache research to find out "what causes headache" on a daily basis. With each protocol, we come closer and closer to finding answers. With more and more knowledge about the situation, we can then develop new treatments to fight migraine attacks. 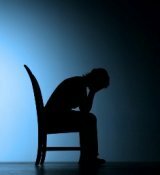 This site also has the Migraine Headache Blog, which will keep you up to date on newest headache treatments as does the Headache-Adviser.com Newsletter. You can get this problem under control and relief is possible! Be sure to visit the Ask The Expert page where you can ask me about your situation and find out "what causes headache". Is your migraine doctor a good headache specialist? "Mary Kay, When I said 'Thank You', I meant it from the bottom of my heart. You have given me back my life. I will pay it forward..forever in your debt." Sincerely, Mary G.
Use the search box below to search this site quickly for headache topics.